How to Start Potty Training: Is My Toddler or Preschooler Ready? 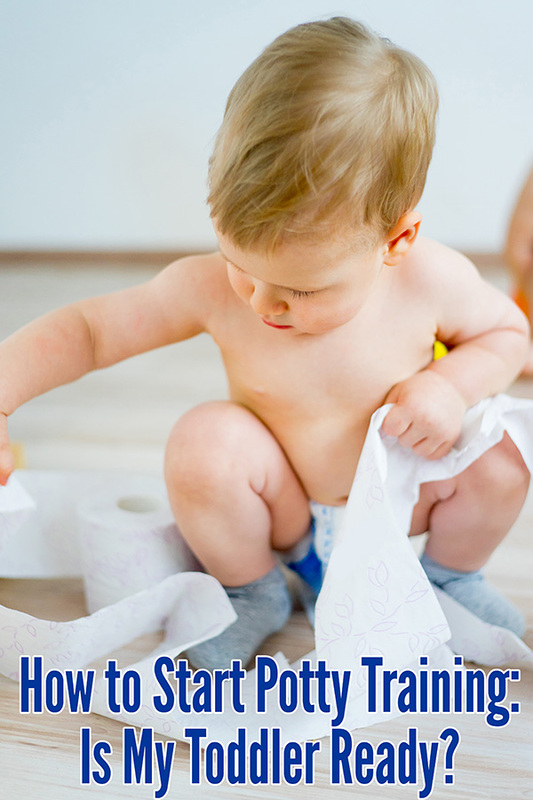 How to Start Potty Training: Is My Toddler Ready? Practical advice and potty training tips from regular mamas who have been there – more than once! Potty training. Oftentimes our toddler gets there before we are ready and we are left scratching our head thinking about when and how to get started. After all, weren’t we just holding our freshly swaddled newborn in our arms five minutes ago? Potty training, potty learning, toilet training – whatever you call it, it is definitely a big milestone for our toddler and how we manage the early days of potty training can make all of the difference to our child’s success. So we have collected together a panel of six regular mamas who have been there – all have tackled potty training with their children, both boys and girls, two, three and even four times. How did you know that your child was ready to potty train? Of course once they are ‘ready,’ the question becomes how do we get started? Check out the approaches our mothers took to potty training in the next posts in this series – potty training methods and what do I need for potty training. Great big thanks for sharing so generously go to Shae (Mum to 3 girls), Tanya (Mum to a pigeon pair), Amanda (Mum to 2 girls), Kate (Mum to 4 – two of each), Cath (Mum to 1+1) and Sarah (Mum to 2 boys and 1 girl). Thanks for this Christie! As the mum of a 2yo boy, I have left most things up to him to decide when he wanted to do something new (like feeding himself, dropping a bottle feed etc). So it's nice to know that most of the mums above went with the "they told me when they were ready" method as it's the one I kind of subscribe to! Good luck with it, Kelly. We decided that we wanted #1 to be toilet trained before #3 arrived. She had been expressing interest in the toilet and talking about it for quite awhile, but at first this really did NOT translate to any physical ability! The first time we tried was a DISASTER. Little miss had just turned 2. We persevered for about 3 days and in that time had only one success (by fluke I think). We left it and tried again 3 months later - again, no success (this time we gave up after one day!). The third time, a couple of months later (she was almost 2.5), she had it down-pat in the first morning. Her baby sister was born a month later. This taught me that, when a child is ready, toilet-training should not be hard or stressful. The first time we tried, I was in tears of frustration by the end of each day. She could talk about it all and understood it, but just wasn't doing it! The 3rd time was a breeze. It really wasn't worth all the stress I put myself under the first time, when she got it so easily in the end. Thank you for sharing your valuable experience, Julie, I really value your comment. My son TT (wees only) at 2yrs 10mths. We recently had a trip to the UK and moved house (the thought of TT with international travel and staying in lots of houses scared me!). He showed no real ' signs', but had done a few wees in the urinal when out with Daddy, and we had talked about it. Being winter, I just brought a potty (it was obvious he was going to be too scared to use a big toilet even with a little seat) put it in the playroom, turned the heating up and took off his pants when we were home. It took one wee on the ground for him to 'get it'. Then we put pants on, again one wee in his pants for him to get it. Moved the potty to the bathroom. Once we realised he wanted to stand, brought him a weeman (BEST invention) and away we go. SO glad we waited, no stress for any of us! I'm rather interested in this topic as Mr 2 was rather interested in going to the potty, so we attempted training before it got too cold. Seeing as we have a fully carpeted house, I put the potty at the back door and let him play outside with no nappy or pants. He did brilliantly all morning and used the potty the whole time. We moved inside for the afternoon - same idea - no pants and potty in the lounge room - and it was full disaster, no success. The next day same pattern - outside great outside, no control inside and the frequency increased and amount decreased - so that was it. I figured he was not physically ready and we haven't pursued it since, although he uses the potty occasionally before a shower and we've had one successful poo on the "big toilet" at his discretion. I'm planning to try again after bub 2 comes (only a few mote weeks to go) and it warms up a bit. My advice would be to just take it slow, Tamsyn, and let Max take the lead with some positive encouragement, especially if he is afraid of the potty at the moment. I'd love to hear some perspective from those who struggled with toilet training. It's not simple for everyone and sometimes there are external pressures. If your child is almost 4 and needs to be toilet trained to attend kindergarten etc it is obviously different to a two year old not being quite ready. We followed our son's lead but it didn't go nearly as smoothly as the above stories indicate! The time from our son happily doing wees and poos on the toilet to the time when he was reliably dry was 18 months! Sometimes kids can be emotionally ready (and demand to wear undies, completely cooperate with going to the toilet) but their physical readiness lags behind. And of course, there is the opposite scenario where despite being child led a four year old just refuses to even sit on the toilet. Thanks Melissa, My son is 4yo and really, really doesn't like going to the toilet. He's now at the point where he will hold on all day and "relax" (on the floor) as soon as he gets home from childcare. He told me just tonight he does pretend wees at childcare so they think he's actually going. I have tried everything and he just is not interested and prefers nappies. Thinking it is time for a child pychiatrist??? I know someone who had a child who had very negative associations with toileting due to recurrent UTI's. They did see a psychologist or psychiatrist (not sure which) and also a continence nurse/physio who helped with ways for her to learn to relax on the toilet to enable her to void on the toilet. She used to hold and hold and hold (which obviously made her UTI's worse!) It was a long process but they got there. Our problem was the opposite - desire to wee on the toilet and wear undies but a physical inability to stop the wee coming (and delay in noticing the signal he needed to go), so I can't help with any tips! I'm dreading the day DS2 asks to wear undies because I can't face another year or two of constant accidents if he also has the same issue. Karly, can I suggest the No Cry Toilet Training Solution by Elizabeth Pantley. I have borrowed it from the library in the past and she provides quite a bit of advice for children who take longer to train. My little one pee-peed on the potty today for the first time! She refused to wear diapers (or clothes for that matter) all morning, so I decided to really get in gear today. She's sat on it a few times before but never actually peed until today! Yay! Hope it goes smoothly for you and your little one, Amy. One of my twins is potty trained and the other is simply NOT ready. She will ask to use the potty occasionally, but will just sit there. This has been going on over 6 months. The Dr said she is not ready and we will save ourselves a lot of stress if we don't push her and let her go at her own pace. Thank you for sharing your experience, Vicky, it certainly goes to show us once again that when it comes to child development, every child is indeed different. Best wishes for the rest of the TT journey. I intended to start TT at 2 but since the new baby was due then, we decided it'd be too many adjustments all at once so postponed it. We started making more of a deal that there was a potty around about a month later. It also helped that Childcare was urging her to use the toilet. She was open to the routine at Childcare, though she wasn't using the toilet, but less open at home. Give it another month and we introduced training pants. She started to become more aware of being wet, though she had been aware of soiling for some time. That was about 2-3 months ago. We've had about 4 successful poops on the potty though she initially finds the experience traumatic because we put her on as soon as she indicates a need to poop. Once it's happening and over, she's excited and proud. She now regularly takes her nappy off after a wee, sits on the potty then changes. We just have to get her to sit on the potty before the wee and we'll almost be there. Thanks so much for this article, once again something *just* in time for me. My 19 month old is starting to show an interest in the toilet and toilet paper, and has told me when she's done a poo in her nappy. I was just wondering what to do about it all, so the timing for this article is perfect. Looking foward to reading the next installment. Thanks for saying so, Kylie, hope you find the remainder of the series helpful as well. I guess I was another lucky one my daughter at about 15 months started showing a real interest in the potty. We bought one and put it in the loungeroom and never made a fuss or made her sit on it, just left it there. She still has her accidents ocasionally mostly when she is so engrosed in something else she doesnt take the time to go. We found we had more success this winter than in summer. I guess she wants to get it over and done with and not have wet pants in winter. I have a child who is in my class, she is 4 yrs and still not fully potty trained she wears pull ups. I feel as though she should not be in my class and should be in with the young 3 year old class that is potty trainning. How should I tell her parents. They are ready at birth. I did E.C. from birth with both my daughters. I used cloth at night with one of them but not in the day, just potty trained from birth the second Never needed a diaper ever!